Durham's two nicknames are an indication of how versitle the city is. 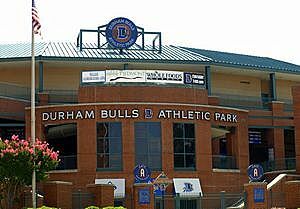 The first nickname, "Bull City" came in the late 1800s after the famous tobacco, Bull Durham. Fitting, as Durham was once home to a thriving tobacco industry, most notably due to the efforts and business savvy of Washington Duke, who built a tobacco empire and gave back to his community. 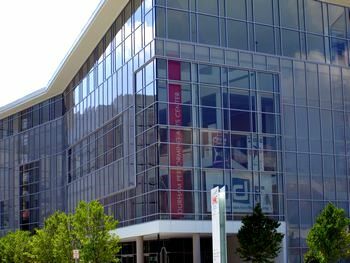 The second nickname, "City of Medicine" was coined as a result of the contributions to science and the medical industry made by Duke University. Healthcare is now a major industry in Durham. 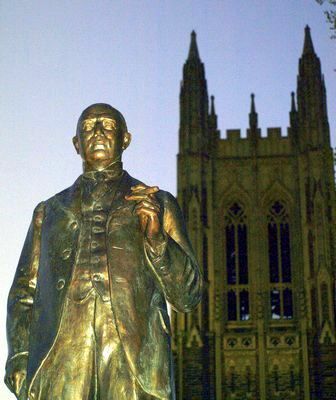 Duke University, originally named Trinity College, grew and developed thanks to the generosity of the Duke family. Duke is now one of the top private universities in the world and features a state-of-the-art medical center. Durham is also the home of Research Triangle Park (RTP), a thriving center of technology that began in the 1950s and continues to grow today. With excellent education, medicine, technology, arts, sports, and history, Durham offers visitors a variety of attractions. There are plenty of shopping and dining establishments catering to Durham's diverse population, and it isn't unusual to see a famous name or two on city streets filming a scene for an upcoming film. In the Durham area and want even more listings for events throughout the week? Click on the image above for a link to the extensive Durham Community Event Calendar!